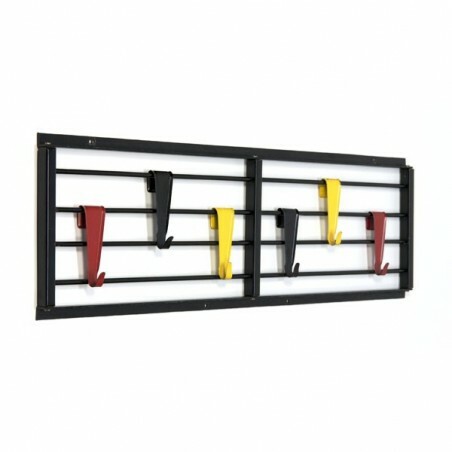 Dutch design coat rack ( called the Scale / Notenbalk) designed by Tjerk Reijnga in the fifties for Pilastro. 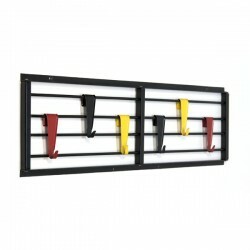 Black metal wall part and 6 colored brackets in yellow, red and black. The condition is good considering the age, very light traces of use, see the detail photos. 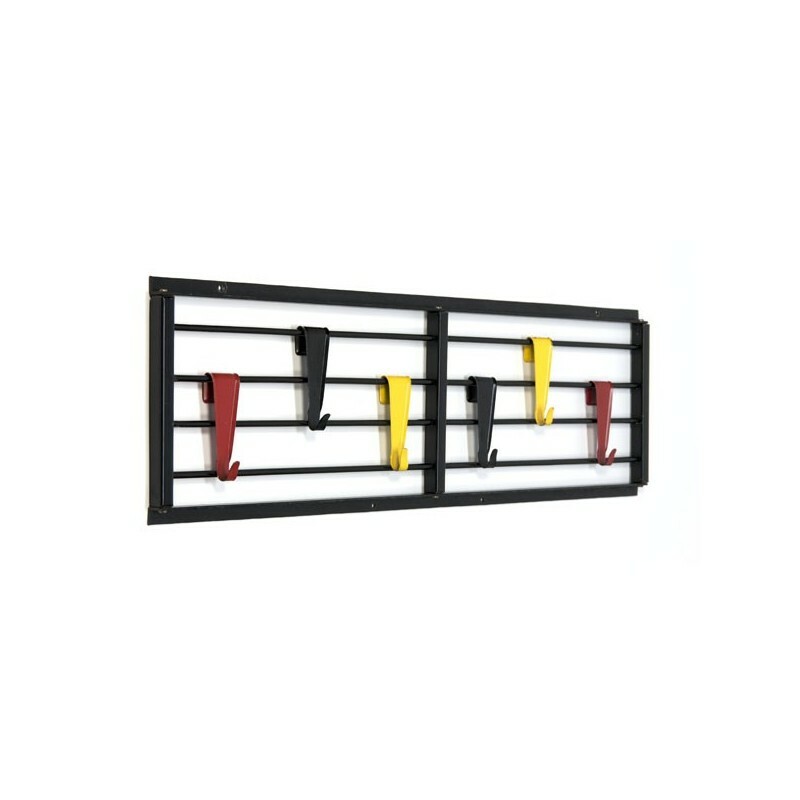 The dimension is 76 cm long and 22 cm high.